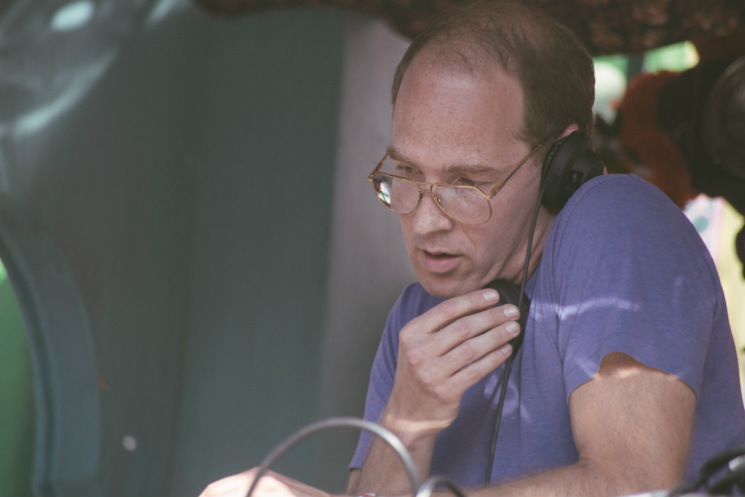 For anyone who didn't know that Daphni is Caribou's more club-friendly moniker, they were treated to an unassuming figure at the Bollywood stage, playing classic jams from the last few decades. Anyone who was aware of Daphni's other exploits could pick up on the inspiration for Caribou's most recent album, Our Love. Daphni's DJ set was an hour long reference guide for that album, featuring all the minimalist, feel-good elements that make it great: '70s soul, shamelessly funky house and anthemic acid techno dominated the afternoon show, with such gems as Cajmere's "Percolator" and "We've Had Enough" by Arnie Love & The Loveletts. It's strange to think of one man on the decks having more atmosphere than a full band, but the vibrancy of Daphni's set was unmistakeable. It was the perfect appetizer for Caribou's evening show, a head nod to the old school rhythms that were to be used later on, when he took to the stage as a live act.